New Delhi, 22 July 2017: The report filed by Comptroller and Auditor General of India (CAG) says that the Food served by Indian Railways is contaminated, recycled, unhygienic and unfit for consumption. The report is based upon the survey conducted at 74 Railway states and 80 trains, said the foodstuff being sold was ‘unsuitable for consumption’. The audit body, Comptroller and Auditor General of India (CAG) also raised concern over the quality of water sold for the purpose of drinking. The CAG report pointed the use of unrecognized brands of water bottles by Railways, along with the direct use of unfiltered tap water for cooking purpose. 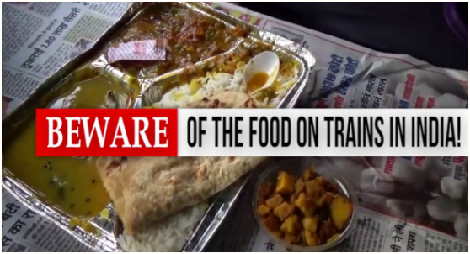 The report filed by Comptroller and Auditor General of India (CAG) says that the Food served by Indian Railways is contaminated, recycled, unhygienic and unfit for consumption. The report is based upon the survey conducted at 74 Railway states and 80 trains, said the foodstuff being sold was ‘unsuitable for consumption’.